Save $100 on your Cabana Rental! Season Passholders can have it made in the shade on their next visit to Wildwater Kingdom on this special discount rental option! You and five guests can make the most of your visit with a semi-private covered area including seating, pool side service and more for a savings of up to $100! Season Pass Rental does not include spending credit or Welcome Package. Two additional guest spots included free of charge for Passholder Cabana Rentals, max of 8 guests. 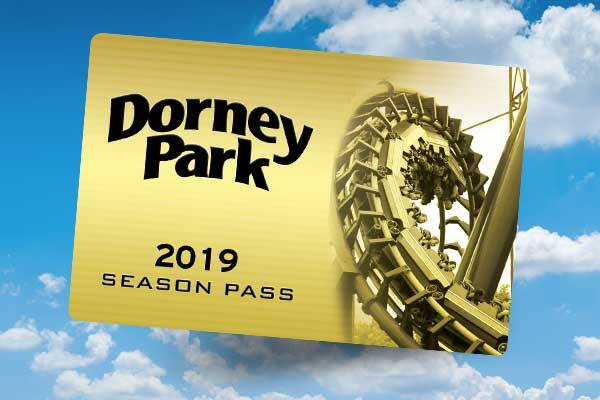 Must have a valid 2019 Season Pass. Limited number available for pre-booking. Please check on day of visit at park if Season Pass rental is not available online for your date of choice. Relax in style in Wildwater Kingdom with a Premium Cabana. Enjoy a semi-private covered area that accommodates 6 guests with chaise lounges, pool side service, early access* into Wildwater Kingdom and more. Plus, you will receive a $20 spending credit for Cabana Services upon check in! Make the most of your visit with a Premium Cabana at Wildwater Kingdom! Early access may be limited or unavailable June 21 and July 26. Two additional guest spots may be purchased for only $20 each. This is the ultimate way to relax and enjoy the most out of your next visit to Wildwater Kingdom. With our all new Party Cabana, you and 11 guests will enjoy all of the VIP luxuries under a huge semi-private covered area. 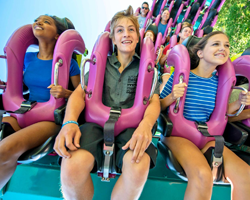 Enjoy early access to Wildwater Kingdom, a Welcome Package, pool side service, and more! Plus, you will receive a $40 spending credit for Cabana Services upon check in! So, gather your friends and soak in the sun in style with a Beach Party Cabana. Four additional guest spots may be purchased for only $20 each. Cabana reservations are non-refundable, and will not issue refunds for maintenance or weather downtime relating to ride or waterpark attractions including Wildwater Cove. All Cabana options are located at Wildwater Cove. Cabanas guests can enter beginning 30 minutes prior to Wildwater Kingdom opening. Check-in must occur before 4:00pm. 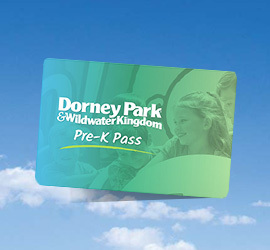 Dorney Park & Wildwater Kingdom does not offer refunds for late arrivals. Early access may be limited or unavailable June 21 and July 26. Cabana area closes with Wildwater Kingdom. Personal items will need to be removed at this time. 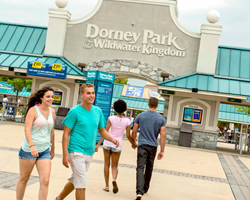 Dorney Park & Wildwater Kingdom is not responsible for lost or stolen items. Guests are encouraged to use the small safe provided with each Cabana rental. Guests must bring their e-ticket at the time of check-in. Cabana location will be assigned at this time. Food & Beverage Service begins at noon and ends one hour prior to Wildwater Kingdom close. Premium Cabana purchase includes admittance for six (6) guests. Up to two additional adults may be added to the Premium Cabana for $20 each, and must be purchased at the park. Season Pass Cabana purchase includes admittance for eight (8) guests for no additional charge. Maximum capacity for Premium and Season Pass Cabanas is eight (8) guests. Groups exceeding capacity limits will need to rent an additional Cabana. Beach Party Cabana purchase includes admittance for twelve (12) guests. Up to four (4) additional adults may be added to the Beach Party Cabana for $20 each, and must be purchased at the park. Maximum capacity for Beach Party Cabana is sixteen (16) guests. Groups exceeding capacity limits will need to rent an additional Cabana. If you have any questions, please contact the Dorney Park & Wildwater Kingdom Retail Office at 610.391.7669 during park operating hours. All pre-purchased reservations must be made online and must be paid in full at the time of the reservation. Any available cabanas will be rented at the park on a first come, first serve basis for that day only. We do not accept reservations over the phone or at the park for future dates.